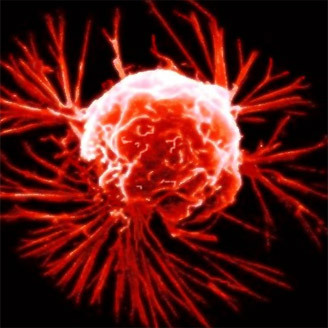 Free-flowing cancer cells have been mapped with unprecedented accuracy in the bloodstream of patients with prostate, breast, and pancreatic cancer, using a brand-new approach, in an attempt to assess and control the disease as it spreads in real time through the body, and to solve the problem of predicting response and resistance to therapies. In comparison to a previous generation of systems, the researchers state their test showed a significantly greater number of high-definition circulating tumor cells (HD-CTCs), in a higher proportion of patients, by using a computing-intensive method that enables them to look at millions of normal cells and find the rare cancer cells among them. Their results, published on February 3, 2012, in Physical Biology, could help reveal the mechanisms behind the spread of solid tumours from one organ or tissue to another – mechanisms that have, until now, remained a mystery. Dr Jorge Nieva, an oncologist at Billings Clinic (Billings, Montana) leading the study, said: "This technology will allow scientists to move away from mouse and cell culture systems and speed the delivery of cures for cancer in people. This is the technology we have been waiting for to solve the problem of resistance to chemotherapy drugs." Senior technology author of the study, Professor Peter Kuhn, said: "In the future, our fluid biopsy can effectively become the companion to the patient for life. If we can assess the disease in real time, we can make quantitative treatment decisions in real time.